b.1960. B.A. with Honor, Brandeis University, 1982. J.D., Boston College Law School, 1985. Admitted to the New Jersey Bar, 1985. Certified Workers’ Compensation Attorney by the Supreme Court of the State of New Jersey since 1998. 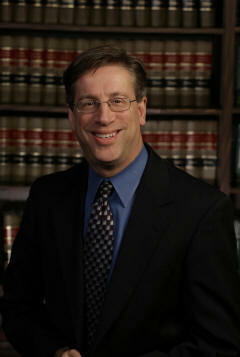 Mr. Lynn has been associated with the firm since 1992 and a Member of the Firm since 2001. His practice specializes in the defense of Workers’ Compensation matters in the State of New Jersey. With extensive trial experience, he represents small and large companies, insurance carriers and third party administrators. Mr. Lynn is a Master in the New Jersey Workers’ Compensation Inn of Court. He has delivered seminars in Workers’ Compensation for the National Business Institute and for the New Jersey Institute for Continuing Legal Education.